However, this is just too much information for basic color quantification of bare metals, building materials or inexpensive household or automotive accessories. These could be shiny objects such as door knobs, chrome decals, brass kick plates, etc. But could also be steel girders or low sheen stainless steel furniture trim. The manufacturer just wants to know that the metal surface is similar in color to the last set of door knobs or kick plates that he turned out. 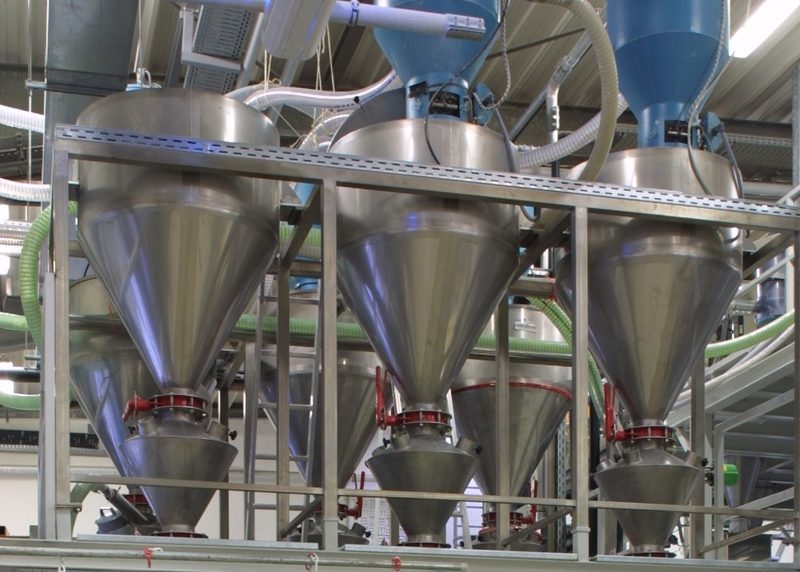 Often this is used to ensure that the quality of the metal is equal to the last batch. The right combination of metals to make an alloy will produce a product with a similar color and gloss. The wrong combination will not only result in a different color, but could also mean some loss in other physical properties (rust resistance, scratch resistance). The spectro-guide d/8 Sphere is exactly the right instrument for a simple color measurement on metal surfaces. Color varies on metal when you view it from different angles. The spectro-guide 45/0 would give different color coordinates with any small difference in the surface structure or gloss of the metal part. The spectro-guide Sphere, however, measures all of the light that reflects off of the surface. It won’t give the angular flop information that the BYK mac i supplies, but that’s not what the customer wants or needs. Standards can be established for CIElab* color space and the instrument can quickly and easily apply Pass/Fail information on a production line or for in-coming Quality Control. The one caveat to using the spectro-guide for measuring the color of metals is that the gloss measurement will not be completely accurate. 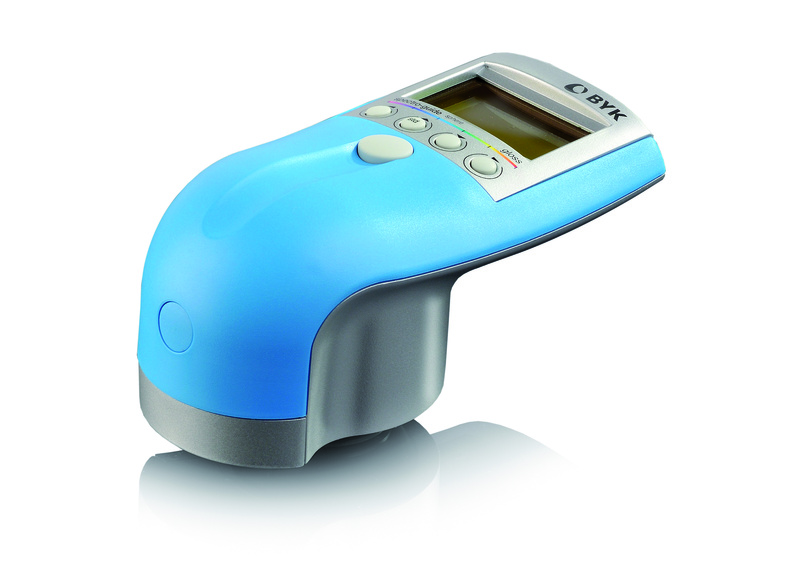 The gloss meter built into the spectro-guide does not include the metallic range found in the micro-gloss meters sold by BYK-Gardner. This is easily remedied by using a 20° micro-gloss (if the gloss measurement is even needed). 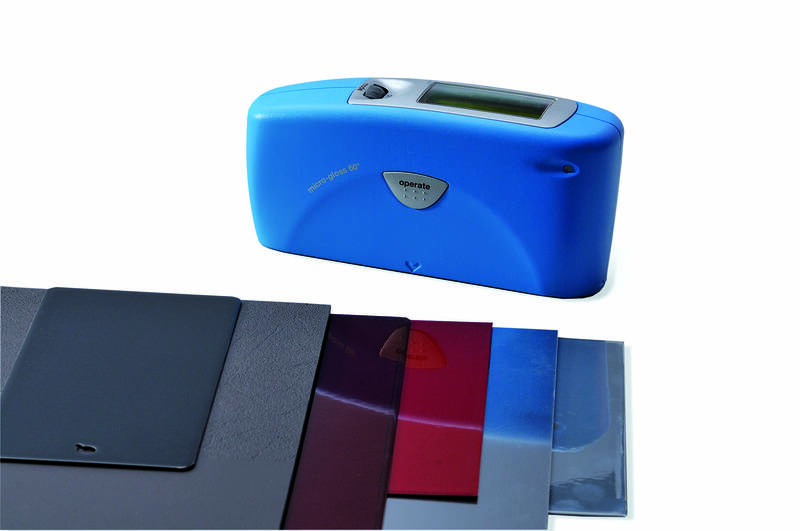 The spectro-guide measures a 60° gloss and the maximum gloss displayed is about 135 GU. Metal surfaces, measured with a 60° micro-gloss can have gloss readings up 1000 GU. And at 20° the micro-gloss will display gloss measurements up to 2000 GU. These metallic ranges are really necessary for metal surface evaluation. Otherwise every sample will read about the same gloss: 135 GU at the top of the range. Jim Roberts is a Technical Support Manager at BYK-Gardner USA, Columbia, MD.